These fritters are spicy & has a unique taste. Famous in South India just like Onion Pakodas. Cut the ends of the Raw Banana & remove the skin. Cut the banana into half & make little thick slices & place them in cold water. This helps from turning banana into black colour. Mix the Besan with Soda, Salt, Corn Flour, Red chilli powder, Ajwain seeds, Hing & 1tblsp of Hot Oil. Add water little by little to make a semi-thick batter. Dip one slice at a time in the batter & the batter should completely cover the slices. Deep fry on a Medium heat till crispy. Remove on a paper towel, sprinkle little chat masala on top(optional) & serve hot with tomato sauce. Note: Adjust Red chilli powder accordingly. These fritters can be eaten even without sauce. 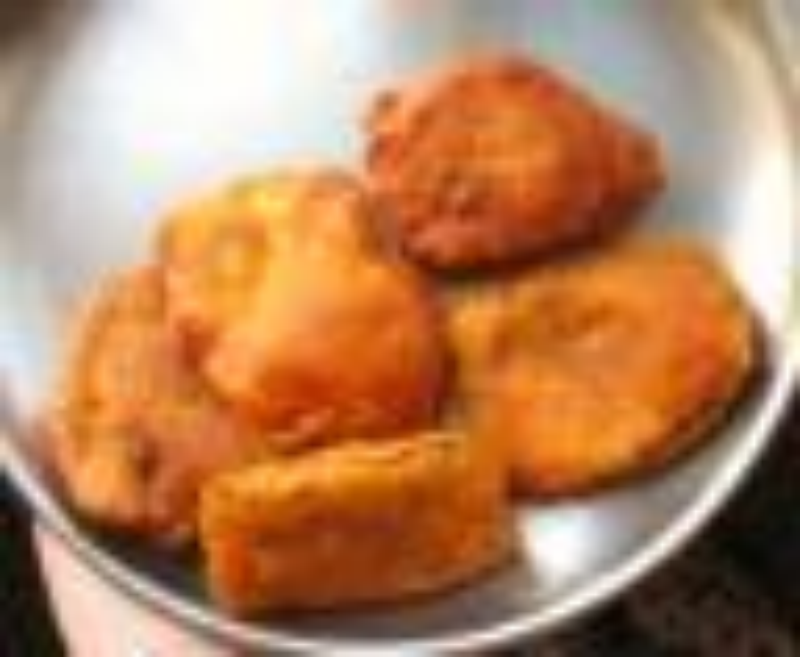 hi soujanya, this is very tasssssty like Banana Bajji.